Anyway, I would like to thanks Desi from Doll Face Beauty for tagging me this Beauty Blogger Tag. I enjoy answering each of the questions. 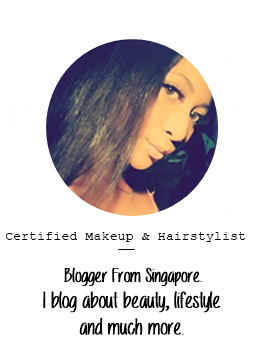 And if you guys haven't view her blog, you should check it out! Let me start it now.. This tag was created by The Beau Bow! - Drying my hair. I let my hair dry by itself. And, I don't use hair dryer. - Yes! Its like a must for me to wash my makeup brushes. 3. How long will you last with chipped nail varnish? 4. How long do you put off buying/replacing a beauty or nail polish product even if you need it (i.e. - top coat, foundation, etc.)? - 2 or 3 months. Depends. - Depends. But usually, I spend 1 hour or less before the time to going out somewhere. - Can I say yes & no? LOL. 9. How organized is your makeup and nail polish collections? - I keep all of my makeup stuffs in my makeup storage box/drawer. - Month? Haha. But, there's a reason why I'm away for a month or so. I can't think of anyone blogs to tag this. There's alot in my mind. But, I tag everyone to do this. Till here then. Stay tune for my next update. Thanks! Following you back too!